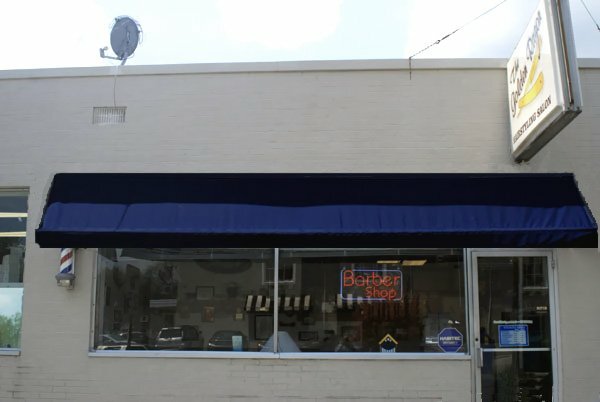 Golden Razor Barber Shop is not just the name for Toledo’s premier hair-cutting and styling specialists, but at Golden Razor you can actually receive a hair cut with a golden straight razor and get your ear outlined and hairline shaved with a bladed straight razor. Almost unheard of today, Golden Razor’s experience has built a reputation for some of the best haircuts and styling in the Toledo area. Razor cuts are great for men and women with straight to moderately wavy hair, especially if you prefer a softer looking style. Barber Shop razor cuts have grown in popularity again as the long straight styles came back into fashion. They are excellent for giving the hair soft-looking straight styles, adding texture and shaping the hair into smooth layered styles. Razor-cutting can be used as a technique to actually create the haircut, or simply as a technique to add softness and texture to scissor-cut hairstyles. However, you want to make sure that the stylist who is going to perform a razor cut on you is experienced in using the razor to cut the hair. If you have never experienced a hot towel straight razor facial shave, you need to schedule one soon, so you can be spoiled like your grandpa did back in the 20th century up until the 1950s when King C. Gillette introduced a double-edged safety razor with replaceable blades and forced grandpa to have to do his own. This lost art went by the wayside like the friendly gas station attendant did with the fight for time and money savings ruling the market again. Step back in time in this 21st century salon and experience a fresh shave and the best hair cut you have ever had, all at The Golden Razor Barber Shop in Toledo, Ohio where your satisfaction is the highest priority.